Rocco Speranza and Jennifer De Freitas are recognized at the Council meeting. EQUITAS AWARD WINNERS: The EMSB's B.A.S.E. 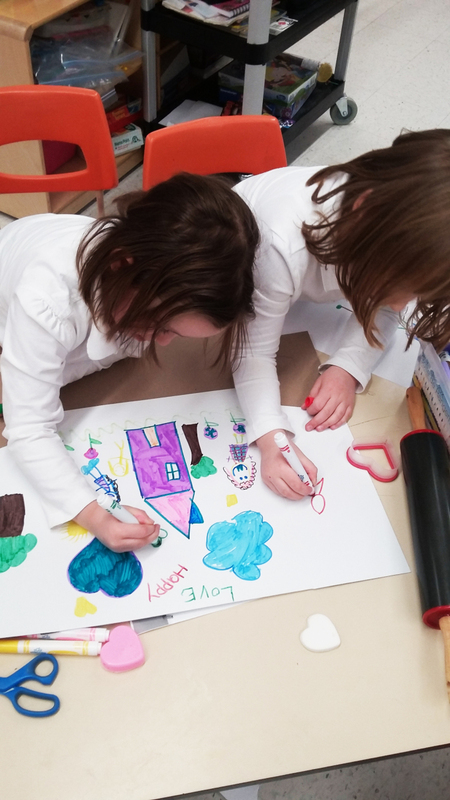 Daycare Program and Spiritual Community Animation Service received the Equitas— International Centre for Human Rights Education—National Play it Fair! award at Vincent Massey Collegiate last month during a celebration with children and youth. Annually, Equitas acknowledges a Canadian organization, school or municipality with an award that promotes the advancement of human rights education. At the February 21 Council of Commissioners meeting, the EMSB formally recognized the two individuals who formally received the awards: Jennifer De Freitas, Project Development Officer with B.A.S.E, and Rocco Speranza, Spiritual and Community Animator. Sylvia Lo Bianco and Ann Marie Matheson. OUTSTANDING PRINCIPAL: Joseph Vitantonio, the Principal of Lester B. Pearson High School in Montreal North, is one of 40 exceptional educators from across the country to be recognized as one of Canada’s Outstanding Principals of 2018. Now celebrating its 14th year, The Learning Partnership Canada’s Outstanding Principals program recognizes the unique and vital contributions of principals in publicly funded schools. The 40 principals, nominated by parents, colleagues and community members, and chosen by a national selection committee, are being celebrated for demonstrating innovation, leadership and for employing creativity in finding solutions and opportunities within their school communities. They will be recognized for their accomplishments at the annual Canada’s Outstanding Principals gala on Feb. 27 in Toronto. Mr. Vitantonio became a mathematics and science teacher in 2005. He graduated from McGill University in Elementary Education with distinction. As a student teacher he was the recipient of the J. M. Gwynne Award for Excellence in Student Teaching. 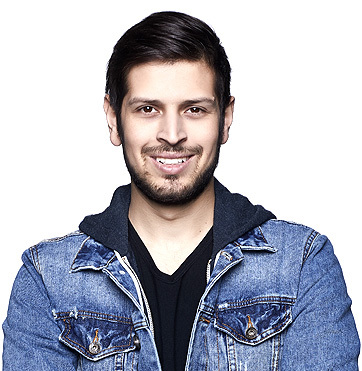 He also studied at McGill in Animal Science, graduating with a Bachelor's Degree in Science.In 2010, he became the vice principal at John F. Kennedy High School in St. Michel. In January 2014, he was promoted to Principal. The school success rates improved dramatically thanks to the creation of the Pierre Elliott Trudeau Student Support Centre. He introduced exit passes for students with anxiety and an alternative to detention program and also helped launch the Aim High Program for students entering Grade 7 with severe learning difficulties. On July 1, 2016 he was promoted to principal at Lester B. Pearson High School. He quickly began getting involved in making improvements to the school, including repainting student entrances and a gender-neutral universal washroom was created. His school continues to be a member of the Green Corridor project of Montreal North. The school is an environmentally greener space by planting trees and plants, along with a student-centered sports field and a large wall mural. Mr. Vitantonio initiated a student Bee Project alongside one of his science teachers, whereby students learn about bees and harvest their own honey from school hives. See the entire press release here. Watch him on Breakfast TV. Pela Nickelotopoulos, Ann Marie Matheson, Minister Proulx, Sylvia Lo Bianco and Evelyn Alfonsi. HOOKED ON SCHOOL WEEK: Hooked on School Days (HSD), Feb. 12 to 16, marked a time when Montreal re-focused on one of its most important issues: encouraging young people to stay in school. At the campaign launch in Montreal North with Minister of Education Sebastien Proulx are Regional Director West Pela Nickoletopoulos, Director General and Réseau réussite Montréal President Ann Marie Matheson, Regional Director West John Pevec, Vice-Chair Sylvia Lo Bianco and Deputy Director General (Education) Evelyn Alfonsi. Read all about Hooked on School Days here: http://jembarque.ca/en. See our short video, which includes interviews with Ms. Matheson and Minister Proulx:. For Hooked on School Week, teachers at Willingdon School in NDG decorated their doors, adding a unique touch to their classrooms, further inspiring their children even before they sit down for the day. For pictures, please click here. BOARD OF TRADE: A number of EMSB officials were present on February 15 at Le Centre Sheraton for the Montreal Chamber of Commerce luncheon featuring Minster Proulx. I was a wonderful experience to the see public school system get such recognition. Teacher Julie Marcus(right) and delighted students accept their gifts. 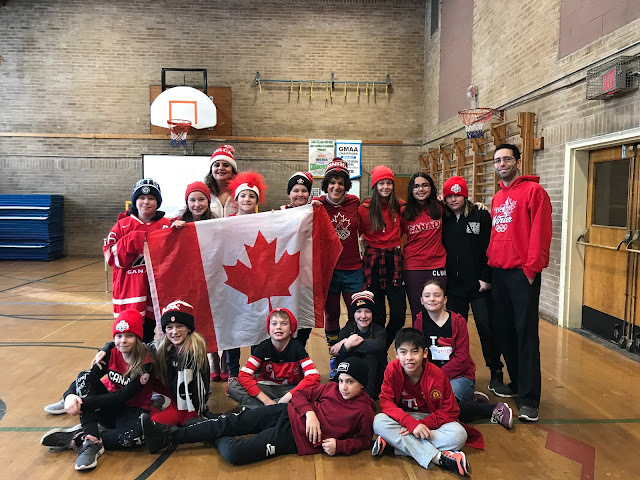 LARGE GRANT FOR ROSLYN: (From The Montreal Gazette) The students at Roslyn School knew only that an announcement would be made at an assembly on Tuesday afternoon: They didn’t know about what. 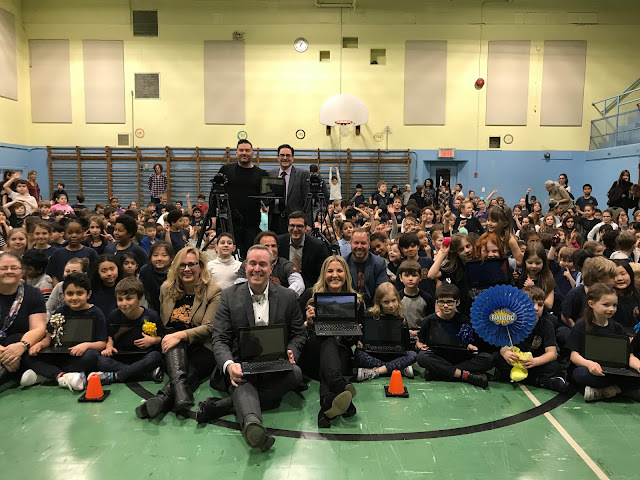 And when they learned that the school was getting $10,000 worth of classroom technology in the form of a mobile computer lab with 30 new laptops, a great whoop of delight went up in the gymnasium of the English Montreal School Board elementary school. See the full story here. And here is a CBC report. NUTRITION MONTH: March is Nutrition Month all across Canada and in celebrating this, EMSB Nutrition and Food Services has prepared an array of nutrition activities. The campaign aims to promote healthy eating habits on a daily basis by promoting nutrition awareness and increasing nutrition knowledge. To recognize nutrition, in-class activities which orient students to read and better understand nutrition labels are in full swing in the West Sector elementary schools. Animated by an EMSB dietitian these “READ WHAT YOU EAT” activities are building blocks for our kindergarten to Grade 6 students for better nutrition knowledge and making healthy food choices. Cooking Workshops are also underway! Les ateliers 5 épices has been selected by the EMSB to conduct these workshops during class time. Student will have the opportunity to explore their taste buds and discover new ingredients as they prepare a delicious tofu spread! This experience helps young students develop culinary skills and fosters healthy eating habits. Truly, an exciting realm for nutrition education! HIGH SCHOOL ACTIVITY: In high schools, the nutrition program entitled “EAT RIGHT FEEL BRIGHT” will take place in the form of in-class sessions geared towards Secondary I and II students in Physical Education and Health classes. The aim is to encourage healthy lifestyles through good nutrition and physical activity and to sensitize students to the social influences on their perception of health and well-being. 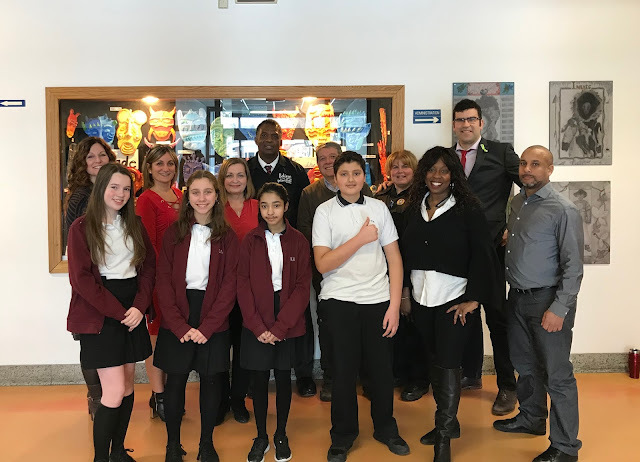 An EMSB dietitian will also be setting up a nutrition booth during the lunch hour period in high school cafeterias throughout the month of March. The aim is to help high school students identify areas of their eating habits that require change and develop strategies to improve food choices, improve lifestyle habits and increase their nutritional knowledge. from JFK and Cristina Morgan from Rosemount. 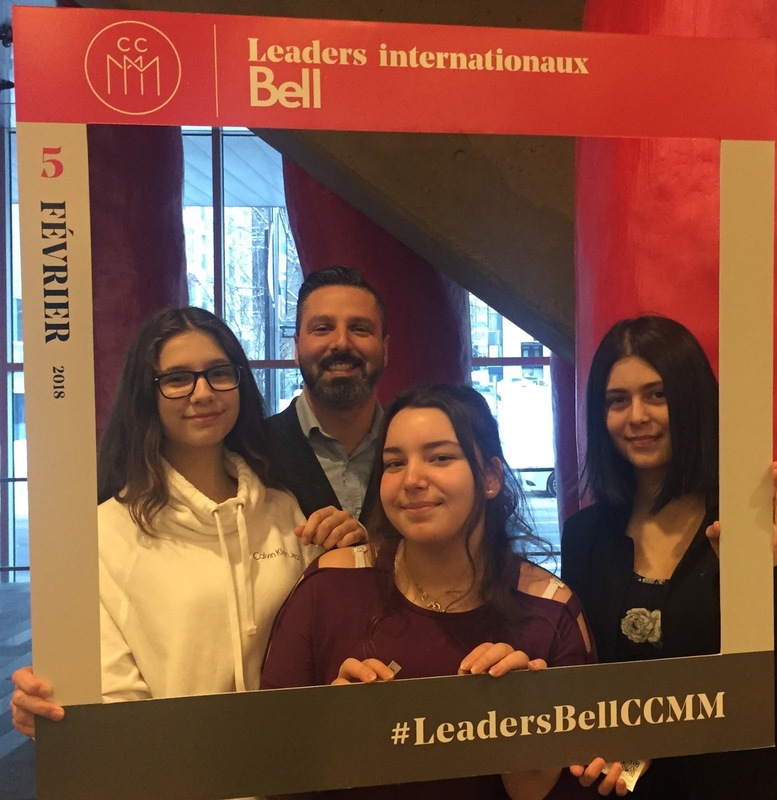 OBAMA SPEECH: On February 5 some students from John F. Kennedy High School in St. Michel and Rosemount High School attended the “Leaders internationaux Bell” event held at the the Palais des congrès de Montréal. Students who successfully completed a summer internship with Montréal Relève student business program were invited to attend this inspiring evening. Topics discussed ranged from the importance of education, passion for what we do, and the importance of compromise in creating change. One thing that resonated to all 10,200 participants and was directed at the 2,000 students in attendance was the importance of education as the foundation for success and the importance of being positive change makers in today’s society. Karl Subban meets students and staff. 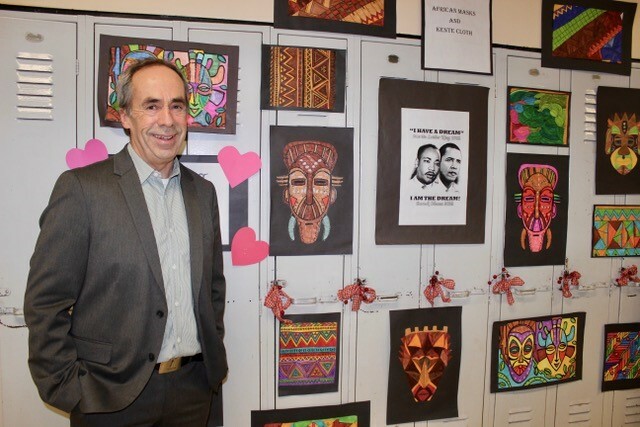 BLACK HISTORY MONTH: LaurenHill Academy in St. Laurent planned two excellent events for Black History Month. Karl Subban, a former school principal and the dad of hockey stars PK, Malcolm and Jordan Subban, spoke to students at the junior and senior campuses on Feb. 14 about realizing their potential, instilling the hopeful message that every one of them was born with unlimited potential, but it is up to them to unlock it and pursue their passions and dreams. On Feb. 27 The Colour of Success will feature guest speaker Kim Richards, an actress/singer, motivational speaker Audley Coley and LHA graduate and present-day engineer Kevin Kwenteng. PHOTOJOURNALISM EXHIBIT: Traces is an introspective photojournalism exhibit put together by a group of self-identified black students at James Lyng High School. In light of Black History Month, students documented their day-to-day lives by capturing photos using their smart phones. With mentorship from renowned photographer Naskademini, the project is meant to reflect the raw realities of the black youth in our city. The show was done in collaboration with the Trevor Williams Foundation’s mentorship program. We invite you to join us to discover Traces of our students’ stories and gifts. 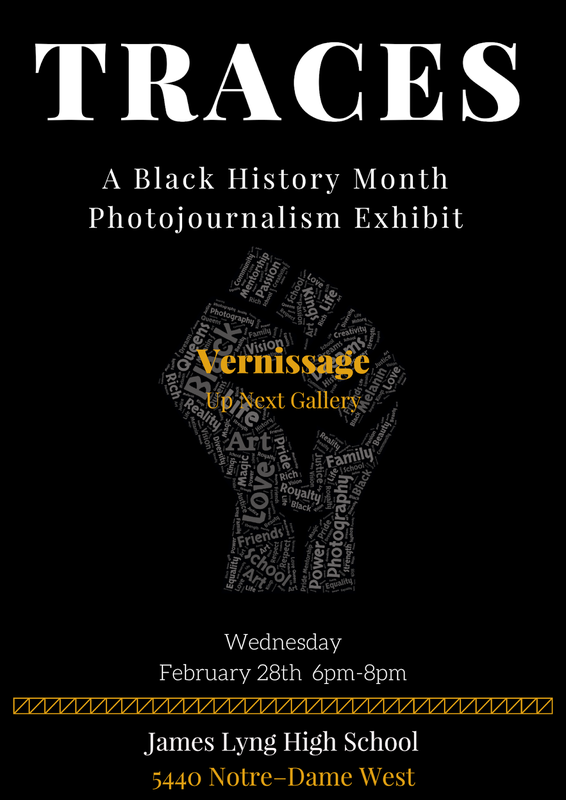 In celebration of Black History Month, a vernissage for the exhibition will take place on Wednesday, February 28 ( 6 pm to 8 pm) at the Up Next Gallery at James Lyng High School (5440 rue Notre-Dame O). The event is open to the public. SPENCER WEST AT VMC: In conjunction with the school’s sixth annual Pink Day celebration, social activist and double amputee Spencer West visited Vincent Massey Collegiate in Rosemount on February 19. West, who has shared the stage with luminaries such as former Vice President Al Gore, Dr. Jane Goodall, Rick Hansen, Mia Farrow, Martin Sheen and Martin Luther King III, shared his inspirational story and spoke to the day’s theme of pink positive. After losing both legs from the pelvis down at the age of five, Spencer West tackled challenge after challenge, learning to navigate in a world set against those with disabilities. As a global speaker, he has captivated hundreds of thousands, talking about redefining the possible. West continues to spend his time speaking to young people around the world; inspiring them as to how to transform their lives where the need is greatest and help positive change happen in the world around them. He supports the students’ capacity to make positive change in their communities and have a positive impact on their school. This year’s campaign at VMC is Pink Positive. Spencer West’s message will resonate with all the students, and various committees. 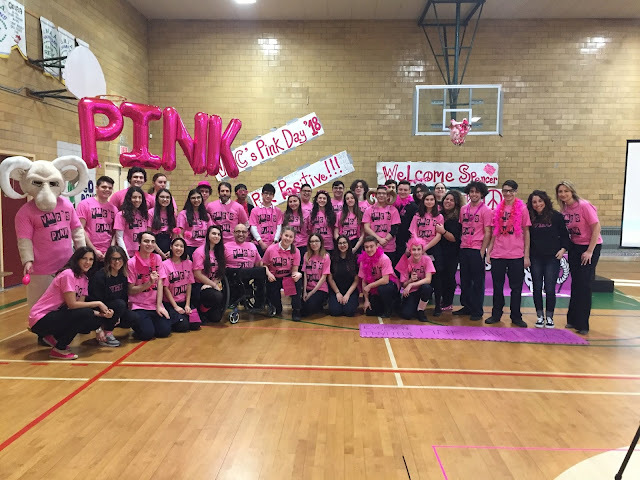 This Pink Positive celebration was organized through a collaboration between VMC’s Spiritual Care Be the Change Committee, and T.H.E. R.A.M.S. committees. who believe that the promotion of perseverance, acceptance, understanding and empathy is essential to fostering a welcoming and safe school climate. Events such as this, along with class visits and lessons continue to makes the VMC community more inclusive, and respectful for all, noted Spiritual Animator Rocco Speranza. Basketball helps sends the right message. Globetrotter Pascal Fleury. Prior to the game, the guests conveyed the message of following one’s dreams and persevering through any and all difficulties. Organized by Spiritual and Community Animator Rocco Speranza, the event underscores the importance of a variety of community leaders engaging with students and encouraging them in their studies. The basketball game was also a celebration of the vital work of all those who help our youth achieve their potential. The special guests ran into a different kind of adversity at tip-off, as they were up against a team of students who came ready to play and win, and who were supported by the entire junior student body and the Vincent Massey cheerleaders. A BIG thank you to The Spiritual and Community Animation Be The Change Committee, Socio Community Police Officer Guay, Lt. Spencer, The Canadian Forces Basketball team as well as Physical Education teachers Mr. Cavallaro, and Mr. Spilak. The VMC hockey team decompresses after the game. MASSEY VS. MOUNTAINVIEW: Students and staff from Vincent Massey Collegiate squared off against their peers from Mountainview Alternative High School in Côte Saint Luc recently in their annual ice hockey game at Doug Harvey Arena in NDG.. The game is a Spiritual and Community Animation initiative designed to encourage C.A.R.I.N.G (Cross region interaction and community, A sense of sportsmanship, Respect for others, Inclusion, Noble actions and Goal setting). The day also allowed students to get to know each other while understanding the importance of teamwork. “It is really a great experience for students of both schools to meet and play a friendly game together,” said Mr. Speranza. “Along with my colleague, Physical Education teacher Nino Cavallaro, we continuously encourage students to live a healthy lifestyle. This is another way to support this.” Following the 9-9 tie, the students shared a meal at Mountainview. Both schools will come together again in the spring for a basketball game at Vincent Massey Collegiate. WE DAY: Students from Edward Murphy School in Hochelaga-Maisonneuve were recognized for their “Opening Doors to Our Community” program at We Day in Montreal on February 21. In addition to being recognized by the "We" Organization, the students were also honoured by Cineplex for their efforts and received free movie passes. The goal of “Opening Doors to Our Community” was to encourage youth to learn about each other, their neighbours, their environment, and to bring a sense of community to the neighbourhood they call home. As part of the project, students also marked Canada's 150th and Montreal's 375th anniversaries and worked on building a positive relationship with their established community partners. Students travelled through their community, interacting with local citizens, visiting local green spaces and parks and paid homage to fallen veterans. They also visited community groups and organizations that help those in need and gave back through community groups by volunteering their time. They cared for their environment by picking up trash and littler along the way and spread the message of connecting with and taking care of the earth. They delivered the message of the We Movement to the neighbourhood. B.A.S.E. NEWSPAPER: From students harvesting the spoils of their gardens, to learning about animals, media literacy and human rights, the Winter 2018 issueof the Touching B.A.S.E. on Daycare Matters newspaper has it all! Published on February 8, 2018, the B.A.S.E. 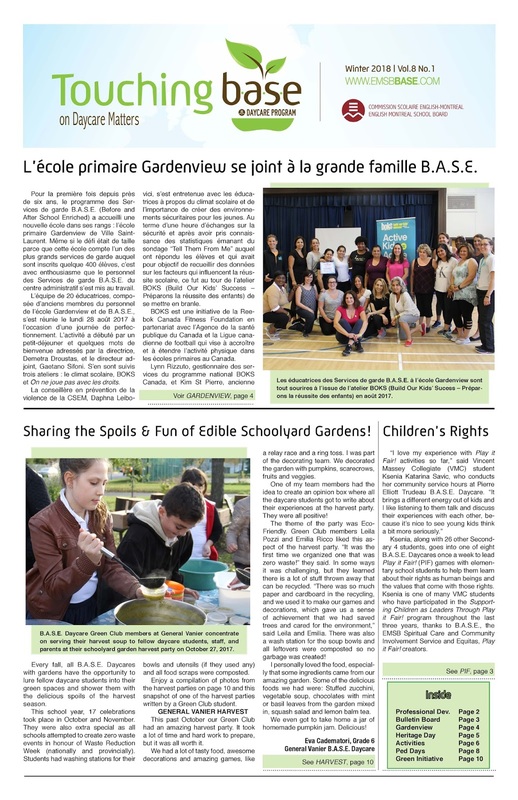 (Before and After School Enriched) Daycare Program team and its students shared their eight volume of the newspaper with the EMSB community. The issue highlights the opening of the new B.A.S.E. Daycare program at Gardenview Elementary on the front page, as well as the Green Clubs’ zero waste garden harvest parties, and B.A.S.E.’s award-winning Supporting Children as Leaders through Play it Fair! Initiative. 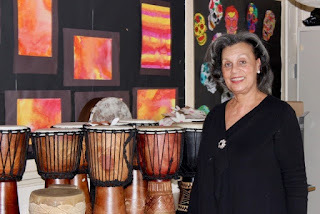 Four pages of the newspaper are dedicated to a lively display of all the extracurricular activities and pedagogical days that took place throughout the daycares during the fall and beginning of winter. These pages showcase the written work of the Daycare students and staff and include stories of parents volunteering for a skating ped day at Gerald McShane and even a recipe for stuffed zucchini or zucchini boats, to try at home! 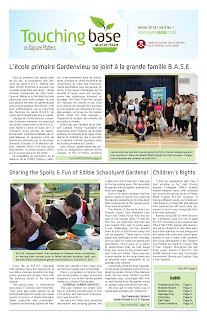 The Green Initiative section hosts three full pages of news from the schoolyard gardens maintained by B.A.S.E. Daycare, with stories about the growing green community and development of a new garden at Pierre Elliott Trudeau, experimental hoop-houses (or mini greenhouses) at Parkdale and St. Monica and a certified “Wildlife Friendly Habitat” pollinator garden at Coronation.The newspaper also includes a summary of the “No Such Thing as a Bad Kid” Annual Daycare Conference attended by Daycare Technicians and Educators and an article on a special Heritage Day Buffet at St. Gabriel. To see the full paper as well as all past editions, go to the Press Clippings page of the B.A.S.E. blog at daycarematters.com. 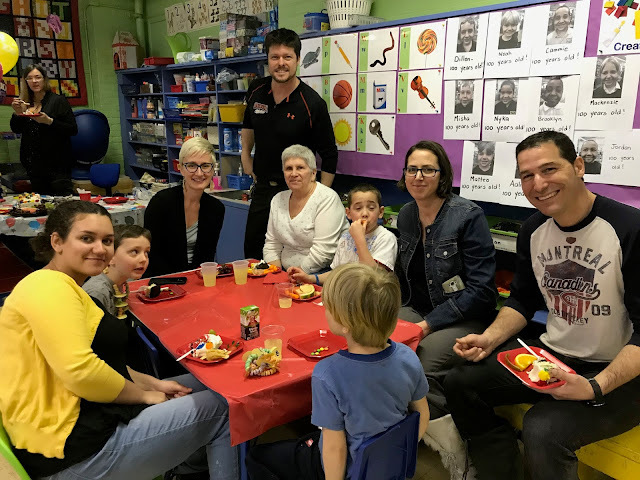 MICHELANGELO VALENTINE’S DAY LOVE: This Valentine’s Day, B.A.S.E Daycare students and staff from Michelangelo International chose to spread their love beyond the borders of their school. They did so by making baked goods and raising funds to purchase necessities for the mothers and children of La Maison Bleue. “Valentines is about feeling loved and making someone feel the same way,” said Sofia when asked what Valentines means to her. Giulia feels that giving on Valentine’s Day makes me feel special, giving to people in need is what Valentine’s Day is all about. VALENTINE’S DAY CHEER: Students from Dalkeith Elementary School in Anjou, Rosemount High School and Perspectives I and II High Schools in St. Michel brought some Valentine’s Day cheer to senior citizens recently through their “Will you be my Valentine?” program. Big smiles for Valentine's Day. Organized by Spiritual and Community Animator Vince Lacroce, this intergenerational program was developed to promote the virtues of love and compassion for those in our community. 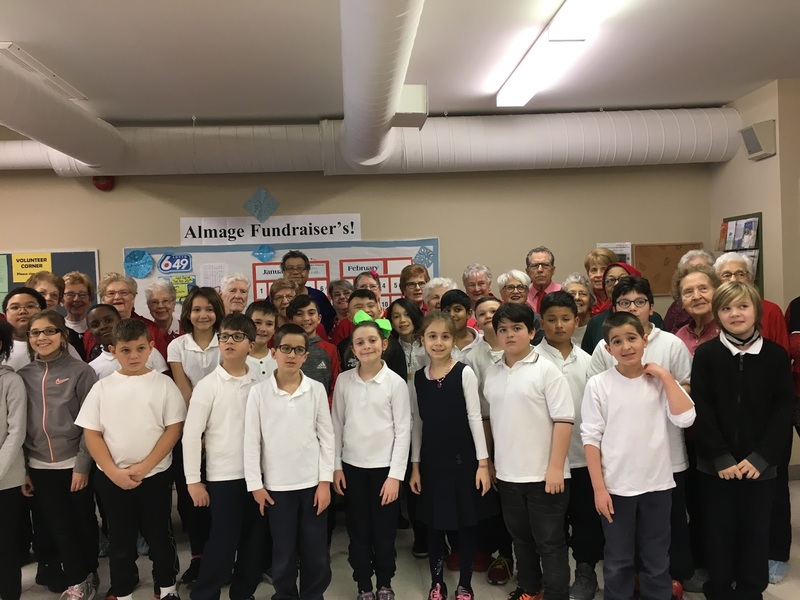 Students from Rosemount and Perspectives raised funds for stuffed animals, Valentine’s Day cards, chocolates and other gifts to be distributed to seniors at Centre D'Accueil Dante, while students from Dalkeith spent time at the Almage Seniors Centre, handing out hand-made cards. HEART TO HEART: The EMSB's Spiritual and Community Animation service celebrated the 15th anniversary of the Heart to Heart Valentine’s Day Toy Basket and Card Drive for the Montreal Children’s Hospital. 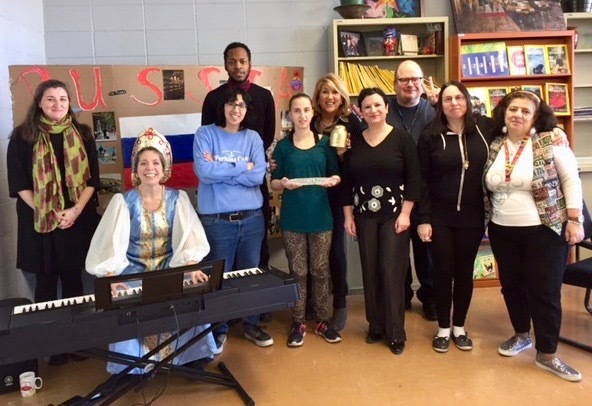 This originated in 2003 at Michelangelo International School in RSP when Spiritual and Community Animator Vince Lacroce and teacher Sonia Arnoldo worked together to bring some cheer to brain tumor patient Sabrina Di Giandomenico. Sadly, Sabrina passed away as a result of her brain tumor later that year. In Sabrina’s memory, the project continued to expand over the years, with the goal of spreading the messages of joy, love, hope and community spirit to children who are ill in our community. For the 15th anniversary, students from General Vanier Elementary School in St. Leonard, Edward Murphy School in Hochelaga Maisonneuve, Gerald McShane Elementary School in Montreal North, Vincent Massey, East Hill in R.D.P. as well as Royal West Academy and Edinburgh Elementary School in Montreal West continued the project. “Over the years, the combined efforts of the Spiritual and Community Animation Service and many EMSB schools have collected thousands of gifts and put together over 1,500 personalized baskets for the patients at the Montreal Children’s Hospital,” said Mr. Speranza. “The program allows students to connect with patients while distributing toys, books, hand made cards and lots of smiles.” A number of individuals are involved in organizing the expanding program every year, including: Maria Iacono, General Vanier daycare; Clementina Fraga, Gerald McShane daycare; Spiritual and Community Animators Samantha Page Smith, Rocco Speranza and Jag Trehin, EMSB Consultant for Guidance and Spiritual and Community Animation Frank Lofeodo and from the Montreal Children’s Hospital: Angelika Maselli, Tribute Program Officer and Alessia Di Giorgio, Community Group Relations and Special Events Advisor. 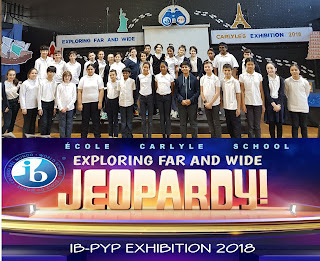 CARLYLE EXHIBITION: On February 1, Carlyle Elementary School in TMR’s Cycle 3, Year 2 students proudly presented their IB-PYP Exhibition entitled, “Exploring Far and Wide.” Through their entertaining and animated presentation based on the popular game show, Jeopardy, they shared their new found knowledge and captivated the Carlyle community. The students began the exhibition process by creating their own central idea: Exploration leads to new discoveries which stemmed from the Transdisciplinary Theme: Where we are in place and time. 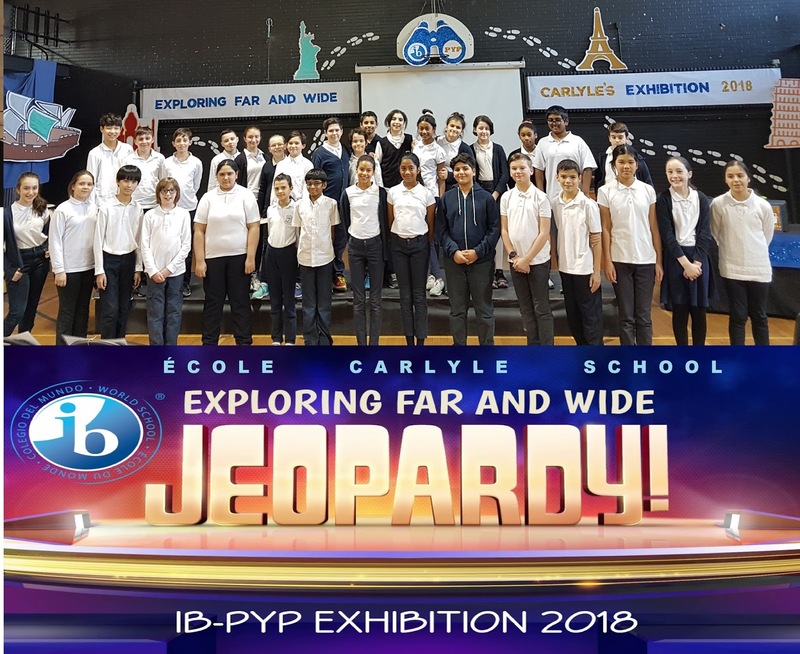 Next, they uncovered eight subtopics related to their theme which included Exploration, World History, Technology, Canada, Explorers, War, Opportunities and Cultures and Diversity. The students worked diligently and were guided by the Carlyle teaching team, topic experts and mentors. They synthesized and explored multiple perspectives of their project with the use of books and online research. This year, the graduating students’ action plan is to raise funds through three dress down days and donate to The Canadian Council of Refugees. It is a national non-profit organization committed to the rights and protection of refugees, other migrants in Canada and around the world, as well as to the settlement of refugees and immigrants in Canada. Congratulations to the graduating class of 2018 for their hard work and dedication! SCIENCE FAIR: The annual Hydro-Québec Montreal Regional Science & Technology Fair will take place Sunday, March 25, through Tuesday, March 27, on the downtown campus of Concordia University. Organized by Educational Alliance for Science & Technology (EAST), in partnership with Concordia University, this is the third successive year that the Fair will be hosted at Concordia and a recent agreement now extends that through 2020. During this one-of-a-kind competition, budding scientists aged 13 to 20 will be presenting their scientific projects to visitors in creative and accessible ways that express their passion for science and technology. CHAMPLAIN DEAN VISITS: As the deadlines for college applications quickly approach, Guidance Counsellor Britt Dash organized a unique opportunity for the students of Rosemount High School. On February 9, the Secondary V students were lucky enough to meet with the Dean of Champlain Regional College. Anthony Singelis gave an interactive presentation that answered many of the students questions about applying to college, student life, and the various college programs available to students. The students felt more confident as they prepare for an exciting new chapter in their lives. Teacher Christina Prentas and the winning students. COMMITMENT TO PEACE: Three Grade 5 students at Willingdon Elementary School in NDG won $100 courtesy of the Peace Grant makers and were asked to make a donation to a charitable organization. The students selected the following organizations: The SPCA, The Canadian Cancer Society and The Special Olympics. Willingdon also had the pleasure of welcoming Laurence Laporte, the representative of Peace Grant makers, to award students with their certificate of recognition signed by Brian Bronfman, the president of Peace Grant makers. Congratulations to Lola Cherney, Malachi Brady and Maximus Murphy! 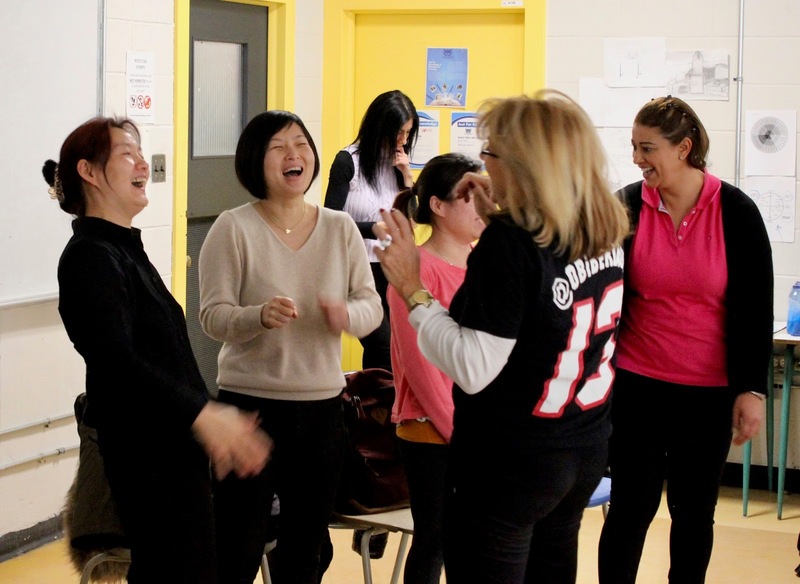 An exaltation of joy travelled through the Willingdon building when Principal Carmen Nicolas, Vice Principal Steve Spetsieris and teacher Christina Prentas were informed of the honourable mention that the students had received. Willingdon catches the Olympic spirit. OLYMPIC SPIRIT: Students at Willingdon held their own Winter Olympic Opening Ceremonies on February 9 to mark the beginning of the competition. This attracted some good media attention. To ensure a festive atmosphere, students were encouraged to wear red and white. During the assemblies, physical education teacher Lara Belinsky taught students about the history of the Olympic Games and the Olympic movement. They also witnessed a motivational presentation filled with moments of national pride from past Games. HOCKEY STAR FROM ROYAL WEST: Former Royal West Academy student Maxim Noreau is a defenceman for Team Canada in the Winter Olympic men’s hockey tournament. He normally plays for SC Noreau of the Swiss National League. the first round of blind auditions on the hit TVA reality show La Voix. He sang Tighten Up by. The Black Keys. Here is the video: The EMSB proudly follows its grads on this show. Last year Vincent Massey Collegiate alumni David Marino made it to the end. Three years ago it was Angelike Falbo, then a Grade 11 student at Laurier Macdonald High School, who made it to the finale. Singer/Songwriter/Producer/Multi-instrumentalist, Ben Alexander is a veteran to the Montreal music scene. After years of playing, writing, and touring the country with noteworthy groups of varying genres, he’s honed his own unique harmonic blends and thought provoking lyrics to strike at the heart. Log on to Benalexandermusic.com. And see this story in The Suburban Newspaper. Ben will visit with the class of his former music teacher, Ginette Purdy, on February 22. WESTMOUNT HIGH REUNION: The Westmount High School class of ‘69 is planning its 50th reunion for the spring of 2019. They are sleuthing and using social media (Facebook WHS 69) and personal contacts to reach out to fellow classmates. This class of some 230 graduates is a far-flung one. The ever-expanding organizing committee is spread over Canada and the US and has connected overseas. If you have a connection to the class of WHS 69, if you’re out there, please let the committee know, tell a friend or encourage a relative! Email Helen Fotopulos at westmountreunion2019@gmail.com. 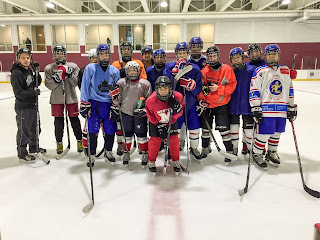 WESTMOUNT HOCKEY: Hockey is alive and well at Westmount High School. The exhibition season begins on Friday, Feb. 23 (4 pm) with a game against St. George's High School at Westmount Arena. 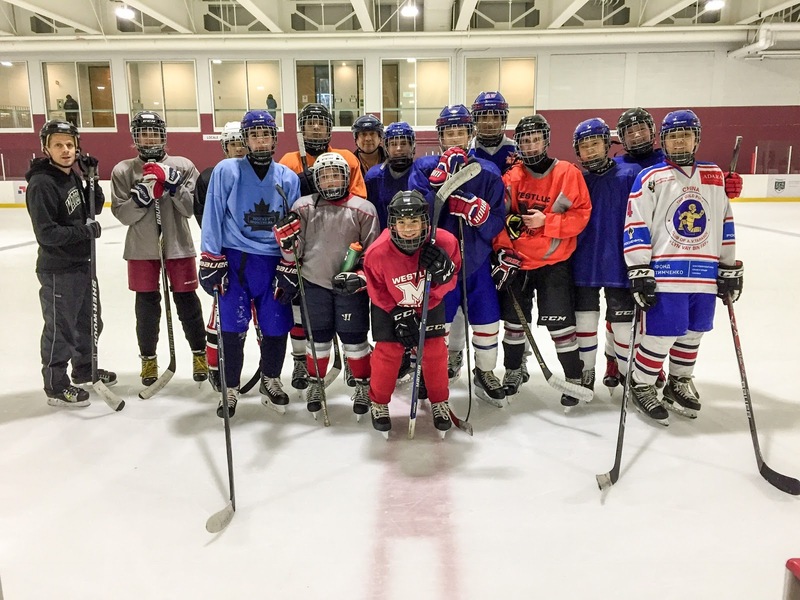 The Westmount High School Knights hockey program supports the individual needs of students who want to play the game of hockey. Objectives include delivering a comprehensive hockey program that is accessible and affordable, providing any student male or female the opportunity to participate developing their skills and benefit from the best instruction possible by professional trainers. What differentiates this program from either municipal or a private school hockey programs are that all activities will take place immediately before or following school hours, delivering excellence in terms of professional coaching, facilities, programming while promoting a healthy lifestyles and diet. Nutrition will play an active role throughout the training process. The 2018-2019 program will continue with competitive teams and a strong individual development program.The program itself is unique, a comprehensive experience for the participants that is at par with a private school program in a public high school setting without great financial bearing onto the families. For more information, please call Neil Chazin at 514-814-0698 or Westmount High School at 514-933-2701. See the full press release. BASKETBALL STAR VISITS: NBA prospect Chris Boucher, took some time to visit Honoré Mercier Elementary School in St. Léonard recently. Boucher, a member of the defending champion Golden State Warriors organization grew up in Montreal before playing college basketball in the United States. The 6”10 power forward was signed as an undrafted free agent in 2017 and currently plays for the Santa Cruz Warriors in the NBA’s G-League. ORCHESTRA ANNIVERSARY: Current students and alumni came together to mark the 20th anniversary of the FACE Symphony Orchestra (FSO) on February 21 with a show-stopping concert. Established in 1988 by teacher Theodora Stathopoulos, the FSO has motivated hundreds of students to reach their full musical potential and has helped expand and enrich FACE’s String Department. In addition to the 25 current students in the FSO, six world-class soloists also participated in the anniversary concert, three of whom are EMSB alumni. These alumni are: Brandyn Lewis (Double Bass in Orchestre Symphonique de Montreal 2017-2018), Lauren Tyros (Viola presently finishing music performance/Scholarship at McGill University) and Stephane Tetreault (International Soloist, Cello). Over the years, the students’ hard work, talents and passions for music have received outside recognition, most notably when students were invited to perform at Place des Arts in 2002 with the late Yuli Turovsky and Miklos Takacs as guest conductors. For more information and for tickets, please visit the FSO website: https://orchestresymphoniqueface.wordpress.com. CEDARCREST VIDEO: Cedarcrest Elementary School in St. Laurent produced this video to promote the Growth Mindset Program that took place over several weeks. Students took part in workshops and were able to hear from their parents as well as members of the community to understand the importance of perseverance in spite of failures that occur. CHORALE NEWS: The EMSB Chorale’s Annual Holiday Concert on December 9 helped raise close to $2,000 for the Salvation Army’s Christmas campaign. A December 15 performance at the Montreal West Town Hall for the town’s Christmas dinner for senior citizens was also greatly appreciated. Rehearsals resumed on January 13, despite the heavy snowfall, in order to prepare for an exciting performance opportunity. 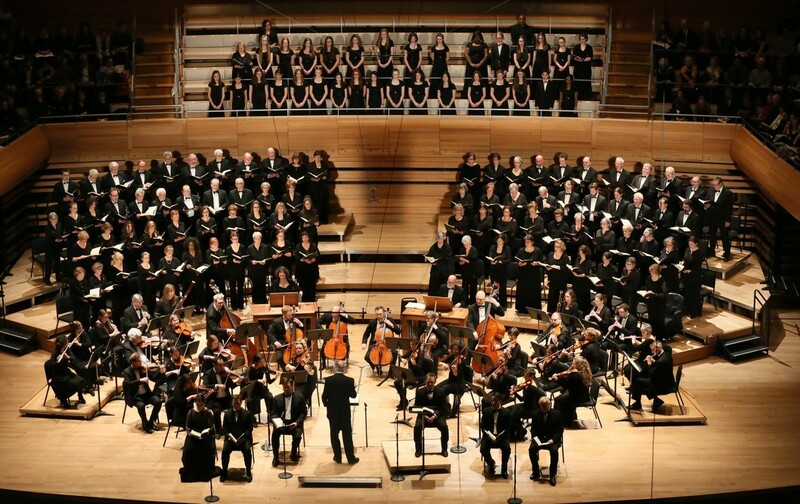 On February 3, the EMSB Senior Chorale joined the Choeur Classique de Montréal for a very successful performance of Bach’s St. Matthew Passion at the Maison symphonique. Conductor Patricia Abbott was thrilled that a new generation of Senior Chorale members could participate in this great choral masterwork which calls for six soloists, double orchestra and double choir plus a children’s choir. The choir will sing the work once again in April with Musica Orbium under the direction of Patrick Wedd in a performance that will feature a historical layout of the musical forces. The chorale has just returned from its annual winter camp at the Camp musical des Laurentides where it started the musical preparation for its spring concerts, including its always highly anticipated Spring Gala Concert which will take place Saturday, May 5 at 7:30 in Concordia’s Oscar Peterson Hall. Tickets go on sale March 1. 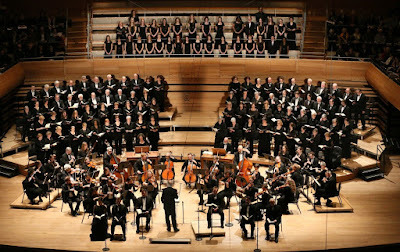 The EMSB Senior Chorale performed in Bach’s St. Matthew Passion with the Choeur Classique de Montréal under the direction of Louis Lavigueur on February 3 in Maison symphonique. The EMSB Senior Chorale joins the Choeur des enfants de Montréal, the McGill Conservatory Youth Choir and the Ottawa Catholic School Board Choir for music by candlelight. This is always a beautiful, spine-tingling event. Freewill offering, no tickets required. LUNCH AND LEARN: In order to combat issues of anxiety, stress as well as lead to mindfulness and healthy life choices, Rosemount High School recently began a weekly program called Lunch N’ Learn. Spearheaded by Spiritual Community Animator Vince Lacroce, the first workshop addressed issues of mindfulness, stress management, taming triggers, incorporating meditation and breathing exercises. February’s workshops included presentations from Giuliana Di Quinzio on nutrition; Katherine Baker, who addressed body image, fad diets, energy drinks, physical activity and health misconceptions and Melina Maria Trimarchi, who educated students on healthy snack alternatives and cooking techniques. Some of the others attended were at McGill, Concordia, Université de Montréal, UQAM and Université de Québec at Trois Rivieres. Marco Gagliardi and Diane Longo in Ottawa. RECRUITING TEACHERS: On February 12 and 14, staff from the EMSB participated in the UOttawa's Education Career Fair! The EMSB was well promoted and we are actively recruiting new teachers! 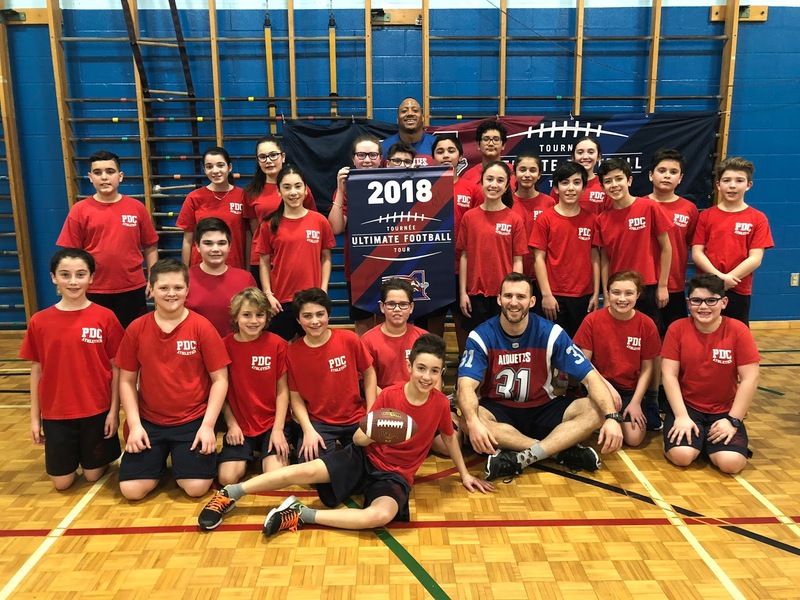 ALOUETTES VISIT: Pierre de Coubertin Elementary School in St. Léonard’s Grade 6 students were honored to receive Alouettes players Mikaël Charland and John Bowman as part of their Alouettes Ultimate Football Tour 2018. Some of the Grade 6 students had the opportunity to run some warm-up drills and play a few games with the help of Mikaël and John as their coaches. The students in the graduating class were left with gifts, free tickets and unforgettable memories. Royal West Academy students at the CRC Robotics Competition. CRC ROBOTICS: If you were not able to attend the 17th Annual CRC Robotics Competition, held from February 1 to 3, you missed something sensational. The competition is Canada’s largest and most thrilling hands-on learning event for high school and CEGEP students. The excitement and the energy of over 600 participating students and thousands of spectators cheering for their favorite teams and robots nearly blew the roof off the Laval Senior Academy gymnasium. Twenty-six teams participated in this year’s football-inspired game called Converto 2018. "We were blown away by the relentless effort and grit displayed by this year’s participants more than ever," stated Natasha Vitale, a coordinator of the CRC Robotics Competition. "Heat after heat, the students never failed to 'wow' us with what their team's robot, exclusively built by the students, could do. The students drive to create something original and innovative was truly present this year," See the highlight video of this year’s competition on CRC Robotics YouTube channel: https://www.youtube.com/watch?v=7pSDpuixht8. Teams from Royal West Academy and Rosemount Technology Centre competed in the event. MACKAY CENTRE UPDATE: Construction on the state-of-the-art facility for the Mackay Centre and Philip E. Layton Schools in NDG continues to progress smoothly and on schedule. The facility is being built on land located on Terrebonne Street, between Benny and Madison Avenues, in NDG. The EMSB has owned the green space for decades. The field was under municipal custodianship and was being used as an informal playing field by the public and the neighbouring Commission scolaire de Montréal (CSDM) elementary school École Marc-Favreau. To date, construction is approximately 43 percent complete, with the heaviest work near completion. The building’s underground infrastructure and structure are up. The current work of closing up exterior walls and installing precast concrete panels is complete. The curtain walls and windows are in process of being installed. More than 50 percent of frame work is done and approximately 30 percent of glazing is completed. The insulation of the exterior walls began this week. As for the interior of the building, concrete slabs are all completed except in the main hall room where there will be a heated floor. Interior brick walls are going up following the installation of sprinkler piping, plumbing, and electrical and ventilation ducts. Seventy-five percent of the main first floor west wing is up, as is 20 percent of the east wing. Work on the second floor west wing has begun, and is 10 percent complete. The electrical and plumbing work on the second floor east wing is underway. The construction remains on schedule for a delivery date for the middle of August. 100 DAYS: As Kindergarten students across the EMSB recently eclipsed their 100th day of school, students at Elizabeth Ballantyne School in Montreal West above celebrated with treats and a special visit from their parents. SUBSIDIES FOR JEWISH CAMPERS: The Generations Fund Camp Initiative was created to help children in Montreal experience the transformative impact that Jewish overnight camp can provide by offering grants, multi-year subsidies, and incentives to families in our community. The program also offers Capacity Building Initiatives including enrollment grants and Jewish content initiatives. Check out the OneHappy Camper first-time camper incentive grants, as well as Federation CJA’s CAMPSAccess Grants designed to make Jewish camping experiences accessible to more children in our community. Federation CJA is committed to increasing the number of children attending Jewish overnight camp so they can enjoy quality experiences and be exposed to Jewish life, values and make connections with other Jewish children. In doing so, we leverage a tremendous opportunity to transform young lives and help secure a vibrant Jewish future. Studies show that children who go to Jewish camp are more likely to become adults who value their heritage, are engaged in their communities, support causes, and take on leadership roles throughout their lives. For all other questions, please contact info@generationsfund.ca, or log on to www.generationsfund.ca. FUN FOR ALL FAIR: Inspirations Newspaper and Make It Matter invite you to the Fun For All Fair on Saturday, April 14 from 1 p.m. to 4 p.m. at St. Laurent Adult Centre in St. Laurent. This free, fun-filled afternoon will showcase Montreal’s recreational resources that service the special needs community of the Greater Montreal and surrounding areas. The first of its kind in Montreal, this event will offer people with special needs the opportunity to try something new, and have fun while doing it. Come and experience all sorts of adapted and inclusive activities, from tennis to wheelchair basketball and boccia, dance, soccer, art, music, martial arts, yoga, and much more! The event is wheelchair accessible and parking is free. For information contact Linda Mahler at linda_mahler@hotmail.com. MONTREAL COMMUNITY CARES: Organizers are seeking the support of Montreal schools and school boards at all levels to promote the 2018 Montreal Community Cares Awards within their schools and, perhaps, even run a contest to see which school(s) can provide the most high-quality nominations. The mission of the Montreal Community Cares Foundation (MCCF) is: “To empower our youth by developing their leadership skills through our programs, workshops and events, and by building bridges between communities. Our youth hold the key to Montreal’s future.” Launched in 2011, the Montreal Community Cares Awards are an annual fundraising event for the MCCF’s youth-focused initiatives. These Awards recognize community champions — individuals, small businesses and non-profit organizations — actively involved in making Montreal a better place to live and work. so many adults with special needs with stimulating and creative curriculum. Educator Heather Payne designs her class projects to fit with the abilities of her students. Together, they are creating artistic masterpieces that light up the hallways of the school. A dance teacher, Payne taps into her skills to bring music, dance, and poetry, to her students. Last Christmas, they performed three numbers from The Nutcracker to rave reviews! Students also enjoy the Special Blend Café where they learn life skills like cooking. The SVIS program focuses on setting their students up for success by preparing them for the workforce, and engaging employers to provide work stages. Wager’s French and English students and special need students learn side by side. Principal Jacques Monfette sees students and staff interact and enjoy learning from one another. SNAZZY BUS SHELTER ADS: The Wagar Adult Education Centre has placed these clever billboards on Montreal bus shelters. They were designed by Meghan Dove of the EMSB Communications and Marketing Division. SKILLS OLYMPIAD: Two host English Montreal School Board (EMSB) automobile mechanics students placed first and third at the Montreal Regional Skills Olympiads, held at the vocational training facility specializing in automobile mechanics, and welding and fitting, in St,. Léonard on Thursday, February 15. Kevin Quieti won first place and Jamil Fneiche, took third, qualifying to compete in the 15th annual Quebec Provincial Skills Olympiads in Montreal on May 3 and 4. Their ultimate goal is to compete in the World Skills Competition. 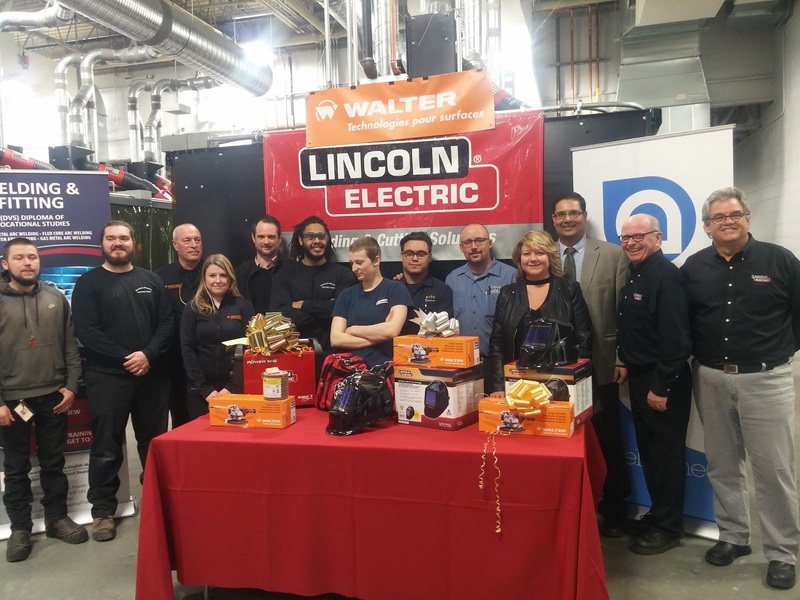 Winners in the welding compétition are: first place: Pierre Olivier Laflamme, Commission Scolaire de la Pointe-de-l’Île; second place: Mathieu Letizia-Mineau, Commission Scolaire de la Pointe-de-L’Île; third place: Chloé St Jean Richard, Commission Scolaire de Montréal. Second place in auto mechanics was awarded to Naja Moseley, Lester B. Pearson School Board. The Skills Olympiad is geared to students under the age of 21. Eight students from four school boards (EMSB, Lester B. Pearson School Board, Commission scolaire Marguerite-Bourgeoys and the Commission scolaire de Montréal competed in the automobile mechanics competition. Eight students from four school boards (EMSB, CSDM, CSMB, Commission scolaire de la Pointe-de-l'Île) competed in welding. All competitors had already won top ranking at their respective school board competitions. The welding event was generously supported by internationally recognized corporate sponsors. Lincoln Electric, Walter Technologies and Air Liquide provided more than $6,000 in gifts to the competitors, with the first place winner receiving a new welding machine from Lincoln Electric. Corporate sponsors in the automobile mechanics competition were also very generous. DES Canada, Snap-On, G2S Tools and Uniformes Moderna provided mechanics tool bags with a variety of tools and electronic scanners to each candidate. Everyone had a good time at JFKAEC. JUST FOR KNOWLEDGE: John F. Kennedy Adult Education Centre (JFKAEC) in Montreal is changing things up once a week at lunchtime. The JFKAEC administration was inspired not only to inject fun into the school day, but to enhance the JFKAEC learning experience by offering students the opportunity to broaden their knowledge base without leaving the campus. The Just for Knowledge & Educational Curiosity series takes place every Wednesday from Noon to 1 p.m. at JFKAEC. Invited speakers share informative talks, providing students and staff a “learning outside of the box” experience. Topics focus on themes like stress management, personal budgeting, and mindfulness, and are designed to be short and fun. Just for Knowledge began on January 30 with a Laughter Yoga session. The room was packed with 30 staff and students who learnt how positive emotions and laughter can be used to de-stress, decrease nerves prior to exams, and help them take life a little less seriously. Week two on February 7 focused on basic first aid techniques. Other sessions scheduled in February included balloon twisting, and introduction to Latino dancing. Lunchtime learning takes place on Wednesdays and the occasional Monday. Students and staff alike are finding Just for Knowledge to be a welcomed break in their day, making it a refreshing, regenerating, and informative addition to the JFKAEC experience. INTERNATIONAL TEA ROOM: This month, JFKAEC Social Integration Students (SIS) launched an International Tea Room. Every Thursday from 10:30 a.m. to 10:45 a.m., JFKAEC staff and students are welcome to stop by for a spot of tea. SIS students will choose a different country to focus on each month, giving their guests the chance to sample new flavors and learn about different cultures and traditions of tea drinking around the world. The focus country for the month of February was Russia. The International Team Room is a special initiative that is building school community. It gives JFKAEC staff and students a chance to enjoy their break, and get to know the SIS group. In addition, BASIC English students come to the tea room during class time with their teacher to learn more about the featured country. Discussions, music and video demonstrations are included in the visit. Organizing the tea room gives SIS students the opportunity to interact with other students and staff while gaining experience in the responsibility of food preparing and serving, and managing the cash. Thanks to Kusmi Tea for being a generous supporter of the program. Snacks are available for a minimal cost. Teacher Louise Panet-Raymond and facilitator Milena Tognarini explain that SIS students are also involved in various aspects of JFKAEC life, including recycling and cleaning. Five students are learning vocational skills in a modified Socio Vocational Integration Program. In February JFKAEC opened up a second SIS class. Under the direction of Linda Jewers and Irene Krawczuk this class has a focus on the arts. This will be a wonderful addition to the JFKAEC. If you are in the neighborhood on a Thursday morning, why not stop by for a sip of tea? RTC BACK AT CRC: After a three-year hiatus teacher Joseph Rainone has started a robotics club, resulting in Rosemount Technology Center’s recent participation in the CRC Robotics Competition. After months of planning and constructing the three-day competition began on February 1. Staff are very proud of the students for being innovative and resilient. The team experienced major setbacks at the beginning of the competition as there were problems with the chain drive system. They worked hard to fix the issue, until 11 pm and performed well on the programming aspect of the robot. With the repairs Rosemount Technology Center was able to complete up until the third and final day of the competition. The programming module of the Electromechanic DEP offered at RTC allowed our students to excel in the programming of the robot, putting their knowledge and skills to use. Participating in the CRC Robotics competition provides th students with the opportunity to meet industry representatives; it is a great learning experience. JOURNÉES DE LA PERSÉVÉRANCE SCOLAIRE: Du 12 au 16 février, ce fut l’occasion pour Montréal de tourner de nouveau son attention vers l’un de ses principaux enjeux : la persévérance scolaire de ses jeunes. Étaient présents lors du lancement de la campagne à Montréal-Nord le ministre de l’Éducation Sébastien Proulx, la directrice régionale – secteur ouest Pela Nickoletopoulos, la directrice générale de la CSEM et présidente de Réseau réussite Montréal Ann Marie Matheson, le directeur régional – secteur est John Pevec, la vice-présidente Sylvia Lo Bianco et la directrice générale adjointe – Éducation Evelyn Alfonsi. En savoir plus sur les Journées de la persévérance scolaire : http://jembarque.ca/fr/.Visionner la vidéo. LE MOIS DE LA NUTRITION: Mars est le mois de la nutrition partout au Canada. Pour l’occasion, l’équipe de Nutrition et services alimentaires a concocté une brochette d’activités sous le thème de la nutrition. Cette campagne a pour but de promouvoir de saines habitudes alimentaires au quotidien en sensibilisant les jeunes au rôle de la nutrition et en améliorant leurs connaissances relatives à la nutrition. Pour célébrer le mois de la nutrition, des activités en classe, qui visent à fournir aux élèves les outils essentiels pour leur permettre de lire et de mieux comprendre l’étiquetage nutritionnel, sont disponibles dans les écoles primaires du secteur ouest, dans le cadre de « JE LIS CE QUE JE MANGE ». Animées par une diététiste de la CSEM, ces activités constituent la base pour permettre aux élèves de la maternelle jusqu’à la 6e année d’enrichir leurs connaissances en matière de nutrition et de les aider à choisir des aliments sains. Des ateliers de cuisine sont également en cours! Les services de Les ateliers cinq épices ont été retenus par la commission scolaire dans le but d’animer ces activités durant les heures de classe. Les élèves auront ainsi l’occasion d’explorer avec leurs papilles gustatives et de découvrir de nouveaux ingrédients lors de la préparation d’une délicieuse tartinade au tofu! Cette expérience contribue au développement des compétences culinaires chez les jeunes élèves et favorise l’adoption de saines habitudes alimentaires. Un concept fort intéressant au service de l’éducation en nutrition! ACTIVITÉ POUR LES ÉCOLES SECONDAIRES: Dans les écoles secondaires, le programme sur la nutrition intitulé « NOURRIR LES CERVEAUX ET LES ESPRITS DE NOS ÉLÈVES » sera présenté sous forme de séances en classe destinées aux élèves de 1re et 2e secondaires durant les cours d’éducation physique et santé. L’objectif vise à encourager les élèves à adopter de saines habitudes de vie grâce à une bonne alimentation et à l’activité physique, ainsi qu’à les sensibiliser aux influences sociales à l’égard de leur perception de la santé et du bien-être. La diététiste de la CSEM mettra également en place un kiosque-nutrition à l’heure du dîner dans les cafétérias des écoles secondaires tout au long du mois de mars afin d’aider les élèves à prendre conscience des habitudes alimentaires qu’ils auraient intérêt à modifier et à concevoir des stratégies pour faire de meilleurs choix alimentaires, revoir leurs habitudes de vie et parfaire leurs connaissances en lien avec la nutrition. MOIS DE L’HISTOIRE DE LA COMMUNAUTÉ NOIRE : L’Académie LaurenHill à Saint-Laurent a organisé deux événements dignes de mention dans le cadre du Mois de l’histoire de la communauté noire. Karl Subban, ancien directeur d’école et père du joueur de hockey étoile PK Subban, s’est adressé aux élèves des campus junior et senior le 14 février. Le 27 février prochain, The Colour of Success accueillera à titre de conférenciers-invités l’actrice et chanteuse Kim Richards, le conférencier motivateur Audley Coley et Kevin Kwenteng, diplômé de l’Académie LaurenHill devenu ingénieur. JOURNÉE « UNIS » : Des élèves de l’école Edward Murphy dans Hochelaga-Maisonneuve ont été félicités pour leur programme « Opening Doors to Our Community » (Ouvrir nos portes à la communauté) lors de la Journée UNIS tenue à Montréal le 21 février. Outre cet honneur décerné par l’organisme UNIS, les élèves ont également reçu des laissez-passer, gracieuseté de Cineplex. Le programme « Opening Doors to Our Community » avait pour but d’encourager les jeunes à apprendre à se connaître, à faire connaissance avec leurs voisins, à découvrir leur environnement, en plus de créer un sentiment d’appartenance à leur communauté. Dans le cadre de cette initiative, les élèves ont également souligné le 150e anniversaire du Canada et le 375e de Montréal, et ont déployé des efforts de manière à établir des relations positives avec les partenaires de la communauté. Les élèves se sont déplacés au sein de la communauté, ont interagi avec les citoyens, visité des endroits verts et des parcs et rendu hommage aux anciens combattants disparus. Ils ont aussi rendu visite à des groupes et organismes communautaires qui viennent en aide à ceux qui sont dans le besoin et ont donné de leur temps. Ils se sont montrés respectueux de l’environnement en ramassant les déchets rencontrés sur leur chemin et ont véhiculé leur message visant à se rapprocher de notre planète et à la protéger. Ils ont transmis le message du mouvement UNIS à leur communauté. JOURNAL TOUCHING B.A.S.E. : Qu’il s’agisse pour les élèves de procéder aux récoltes dans le jardin de leur école, ou encore d’en apprendre sur les animaux, l’éducation aux médias et les droits de la personne, tout y est dans l’édition Hiver 2018 du journal Touching B.A.S.E. on Daycare Matters! L’équipe du programme des Services de garde B.A.S.E. (Before and After School Enriched) et ses élèves ont partagé avec la communauté de la CSEM cette 8e édition du journal publié le 8 février 2018. On y présente en première page l’ouverture d’un nouveau service de garde B.A.S.E. à l’école primaire Gardenview, les célébrations des récoltes déchets zéro des clubs verts et le programme primé Supporting Children as Leaders through Play it Fair! de B.A.S.E. Quatre pages de cette édition renferment des photos de toutes les activités parascolaires et des journées pédagogiques qui ont eu lieu aux services de garde à l’automne et au début de l’hiver. On peut y voir le travail écrit des élèves et des éducatrices, en plus d’y lire quelques histoires de parents ayant agi comme bénévoles lors d’une activité de patinage à l’occasion d’une journée pédagogique à l’école Gerald McShane, et même une recette de zucchinis farcis – ou « bateaux » de courgettes – à essayer à la maison! La section des initiatives vertes renferme trois pages complètes de nouvelles portant sur les jardins d’école dont l’entretien est assuré par les Services de garde B.A.S.E. On y trouve des articles sur la communauté verte grandissante et le développement d’un nouveau jardin à l’école Pierre Elliott Trudeau, le projet expérimental de serres à arceaux (hoop houses) – ou mini-serres – à Parkdale et à St. Monica et un jardin à pollinisateurs certifié Wildlife Friendly Habitat à l’école Coronation. De plus, cette édition renferme un compte-rendu de la conférence annuelle « No Such Thing as a Bad Kid » à laquelle ont participé les techniciennes et éducatrices en services de garde. Enfin, vous y trouverez un article sur le banquet de la fête du Patrimoine organisé à l’école St. Gabriel. Pour parcourir tout le journal ou consulter des éditions antérieures, visitez le blogue de B.A.S.E. à daycarematters.com et cliquez sur l’onglet Press Clippings. ESPRIT OLYMPIQUE: Les élèves de l’école Willingdon ont tenu leurs propres cérémonies d’ouverture le 9 février afin de marquer le coup d’envoi des Jeux olympiques, ce qui a attiré l’attention des médias. En vue de créer une atmosphère festive, les élèves ont été invités à se vêtir en rouge et en blanc. Durant les assemblées, l’enseignante d’éducation physique Lara Belinsky a expliqué aux élèves l’histoire des Jeux olympiques ainsi que le mouvement olympique. De plus, ils ont assisté à une présentation inspirante réunissant de beaux moments de fierté nationale qui ont marqué les Jeux olympiques antérieurs. ENGAGEMENT ENVERS LA PAIX: Trois élèves de 5e année à l’école primaire Willingdon de NDG ont remporté 100 $, gracieuseté du Réseau des donateurs pour la paix, et ont été invités à verser un don à un organisme de bienfaisance. Les élèves ont choisi les organismes suivants : la SPCA, la Société canadienne du cancer et les Olympiques spéciaux. L’école Willingdon a également eu le plaisir d’accueillir Laurence Laporte, représentante du Réseau des donateurs pour la paix, qui a présenté aux élèves un certificat de reconnaissance signé de la main de Brian Bronfman, président du Réseau des donateurs pour la paix. Félicitations à Lola Cherney, Malachi Brady et Maximus Murphy! Une explosion de joie s’est emparée de l’école Willingdon lorsque la directrice Carmen Nicolas, le directeur adjoint Steve Spetsieris et l’enseignante Christina Prentas ont été informés de la mention d’honneur décernée aux élèves. Tout le personnel de l’école Willingdon tient à féliciter les lauréats et se réjouit des succès à venir! ANNIVERSAIRE DE L’ORCHESTRE: Les élèves actuels et des anciens ont uni leurs talents lors d’un concert inoubliable afin de marquer le 20e anniversaire de l’Orchestre symphonique de FACE (OSF) le 21 février. Fondée en 1988 par l’enseignante Theodora Stathopoulos, l’OSF a incité des centaines d’élèves à réaliser leur plein potentiel musical et a permis de développer et d’enrichir le département des cordes de l’école FACE. Les 25 élèves de l’OSF étaient accompagnés de six solistes de calibre mondial pour la présentation de ce concert anniversaire, parmi lesquels figuraient trois anciens élèves de la CSEM. Il s’agit de Brandyn Lewis (contrebasse, Orchestre symphonique de Montréal en 2017-2018), Lauren Tyros (alto, termine actuellement le programme d’interprétation musicale avec bourse d’études à l’Université McGill) et Stéphane Tétreault (violoncelle, soliste international). Au fil des ans, le travail acharné des élèves, leur grand talent et leur passion pour la musique leur ont valu une reconnaissance externe, notamment lorsqu’ils ont été invités à se produire à la Place des Arts en 2002 sous la direction du défunt Yuli Turovsky et de Miklos Takacs. Pour de plus amples renseignements, rendez-vous sur le site de l’OSF à https://orchestresymphoniqueface.wordpress.com. MISE À JOUR – ÉCOLE CENTRE MACKAY: La construction du bâtiment ultramoderne qui abritera les écoles Centre Mackay et Philip E. Layton à NDG va bon train et est conforme à l’échéancier. Le bâtiment a été érigé sur un terrain vacant situé rue Terrebonne, entre les avenues Benny et Madison, à NDG. La Commission scolaire English-Montréal (CSEM) est propriétaire du terrain depuis des décennies, mais il était sous la responsabilité de la Ville et utilisé comme terrain de jeu informel par la communauté et l’école primaire Marc-Favreau de la Commission scolaire de Montréal (CSDM) qui se trouve à proximité. À l’heure actuelle, la construction est complétée à environ 45 % et les travaux lourds sont presque terminés. Les infrastructures souterraines sont en place et la structure du bâtiment a été érigée. La fermeture des murs extérieurs et l’installation des panneaux de béton préfabriqués est achevée. La pose des murs-rideaux et des fenêtres est en cours. Plus de la moitié des travaux de colombage ont été réalisés et environ 30 % des travaux de vitrage sont terminés. L’isolation des murs extérieurs a débuté cette semaine. À l’intérieur, toutes les dalles de béton ont été coulées sauf dans le hall principal où sera installé un plancher chauffant. À la suite de l'installation de la tuyauterie des gicleurs, des conduits de ventilation, des travaux de plomberie et d’électricité, l’érection des murs de maçonnerie est commencée. Au rez-de-chaussée, 75 % de l’espace a pris forme dans la partie ouest du bâtiment et 20 %, dans la partie est. Les travaux ont débuté au deuxième étage dans la partie ouest et sont terminés à 10 %. Les travaux électriques et de plomberie sont en cours au deuxième étage, dans la partie est. La construction progresse selon l’échéancier et le bâtiment devrait être livré à la mi-août. VIMY: Si certains de vos élèves âgés de 14 à 17 ans sont passionnés d’histoire, cette semaine incroyable et inspirante avec Rencontres du Canada saura les combler! Grâce au généreux soutien de la Fondation Vimy, les organisateurs sont en mesure d’offrir une réduction de 100 $ (sur les frais d’inscription réguliers de 675 $) aux élèves pour assister à Vimy : Passage pour l’autonomie du Canada, une semaine dynamique qui aura lieu à Ottawa, du 8 au 14 avril, dans le cadre du plus grand forum jeunesse bilingue au Canada. Les élèves vivront une expérience historique hors du commun. Les participants apprendront comment le Canada a participé à la Première Guerre mondiale et se familiariseront avec la bataille de la crête de Vimy. Cette semaine mémorable comprend des visites au Musée canadien de la guerre, sur la Colline du Parlement et au Diefenbunker, ainsi que des visites guidées et des cérémonies commémoratives, des visites interactives pour décoder des cartes de champs de bataille, et plus encore. Si parmi vos élèves certains se sentent interpelés par cette expérience unique, veuillez communiquer avec moi afin de confirmer s’il reste encore des fonds et connaître la marche à suivre pour l’inscription (prière de m’aviser si votre école n’a pas son code d’accès en ligne). Pour en savoir davantage au sujet du programme Rencontres du Canada, visitez le https://www.ewc-rdc.ca. CPAC ROUTE 338: CPAC, la chaîne télé d’affaires publiques, a lancé une nouvelle initiative de littératie. CPAC Route 338 est une ressource novatrice qui propose un voyage virtuel au Canada pour permettre aux utilisateurs d’Internet d’en apprendre davantage sur notre histoire politique, le fonctionnement du Parlement, le rôle des représentants ainsi que l’importance de la participation politique des citoyens. Ce projet de littératie démocratique comporte trois volets : le site Web Route 338, qui dresse le portrait des 338 circonscriptions fédérales au Canada par l’entremise de photos, faits saillants et vidéos provenant des archives de la CPAC; une série de cartes-tapis géantes illustrant les 338 circonscriptions canadiennes, conçues en partenariat avec la Société géographique royale du Canada; de même qu’une série de 11 activités pédagogiques liées au programme scolaire qui permettront aux élèves du niveau primaire jusqu’au niveau supérieur de se familiariser avec les multiples facettes de la société démocratique. Voici le lien pour visiter le site Web : Route 338. Les enseignants peuvent emprunter la carte-tapis géante à l’adresse suivante : education.canadiangeographic.ca. BOURSES D’ÉTUDES HECHT: Les candidatures sont présentement acceptées dans le cadre du programme de bourses d’études Riva et Thomas O. Hecht, enseignement de l’Holocauste, pour l’été 2018. Cette année, quatre bourses seront décernées pour assister à la Conférence Belfer à Washington, D.C. présentée au United States Holocaust Museum. Ces deux conférences de trois jours auront lieu entre le 23 et le 28 juillet. Vous trouverez le formulaire de demande de bourse d’études à http://t-h-e-program.org/submit-application/. Veuillez faire parvenir les candidatures à mcohen@emsb.qc.ca. « La conférence s’est avérée une expérience exceptionnelle où, contrairement à d’autres séminaires, l’accent a été mis sur l’enseignement de l’Holocauste plutôt que sur l’apprentissage des événements de l’Holocauste », a déclaré Lev Berner, enseignante au Collège Vincent Massey et récipiendaire d’une bourse d’études Belfer en 2017. « Des éducateurs de l’Holocauste nous ont montré, en groupes, une foule de façons d’enseigner l’Holocauste. Chaque jour, une section du musée était fermée au public pour nous permettre de l’explorer par nous-mêmes et de nous imprégner des valeurs du musée. Cette conférence m’a permis de réseauter avec bon nombre d’éducateurs de l’Holocauste et m’a fourni de nouveaux outils pour renforcer mon approche lorsque j’enseigne l’Holocauste à mes élèves dans les cours d’ECR. » Le United States Holocaust Memorial Museum est l’institution nationale par excellence en Amérique pour la documentation, l’étude et l’interprétation de l’histoire de l’Holocauste. Ce musée incarne le monument américain à la mémoire des millions de gens qui ont péri durant l’Holocauste. OLYMPIADES DES MÉTIERS ET DES TECHNOLOGIES : Alors que les olympiens du Québec remportent des médailles aux Jeux de PyeongChang, les élèves des centres professionnels de Montréal se préparent en prévision de la tenue de leurs propres Olympiades. Le centre de formation professionnelle de la CSEM qui se spécialise dans la mécanique automobile et la soudure-montage a accueilli les Olympiades des métiers et des technologies (Compétences Québec) de l’île de Montréal le 15 février au 6065, boulevard des Grandes-Prairies à Saint-Léonard. Destinées aux élèves de moins de 21 ans, ces Olympiades ont mis en vedette deux programmes de formation professionnelle : la soudure et la mécanique automobile. Huit élèves provenant de quatre commissions scolaires (la CSEM, la Commission scolaire Lester-B.-Pearson, la Commission scolaire Marguerite-Bourgeoys et la Commission scolaire de Montréal) ont pris part à la compétition de mécanique automobile. Huit élèves issus de quatre commissions scolaires (la CSEM, la CSDM, la CSMB et la Commission scolaire de la Pointe-de-l'Île) se sont affrontés en soudure. Tous les compétiteurs ont déjà remporté les grands honneurs au sein de leur commission scolaire respective. Ils étaient en lice pour le prix ultime, c’est-à-dire se qualifier pour les 15e Olympiades provinciales des métiers et des technologies qui se dérouleront à Montréal les 3 et 4 mai prochains et où seront représentés 38 métiers. Les grands vainqueurs prendront part à la Compétition internationale des compétences. The next Focus Newsletter will be published on March 29. Deadlines for submissions is Friday, March 23 at Noon.